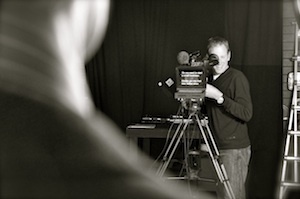 As a digital media company, video production is only one of many services we offer. Check out the links below to see how you can utilise our services to inform employees, engage clients and stakeholders, and increase your online prescence through all forms of digital media. We've shot in underground mines, aerials out of helicopters, in the arid outback and on busy roads around Australia's capital cities. The value of an online system lies in the delivery of consistent safety and procedural messages to all employees and contractors. It is also easily updated to reflect changes in company policies. Online access is available 24/7 from any PC, Mac or mobile device. Our Corporate Communications videos provide our clients with an excellent quality in production with a contemporary and modern style. The safety of your staff is key in any project. A safe working environment can ensure your projects longevity and success. Video training systems are highly cost effective, consistent in delivering information and can be updated regularly. One of the most important factors in running a successful company is the people you employ. Our recruitment videos can provide your HR department with a digital portfolio for your company to attract the right people. Online environments can be enhanced with outstanding video productions. If what you want to communicate can be done through video, it will be a cost effective and long lasting product that you can use when and where you desire.